Happy Tuesday, everyone! I hope you all enjoyed your (hopefully long) weekend as much as I did. I had such a great time away in Vermont with a big group of friends from college – I’ll be sharing more on that trip soon. 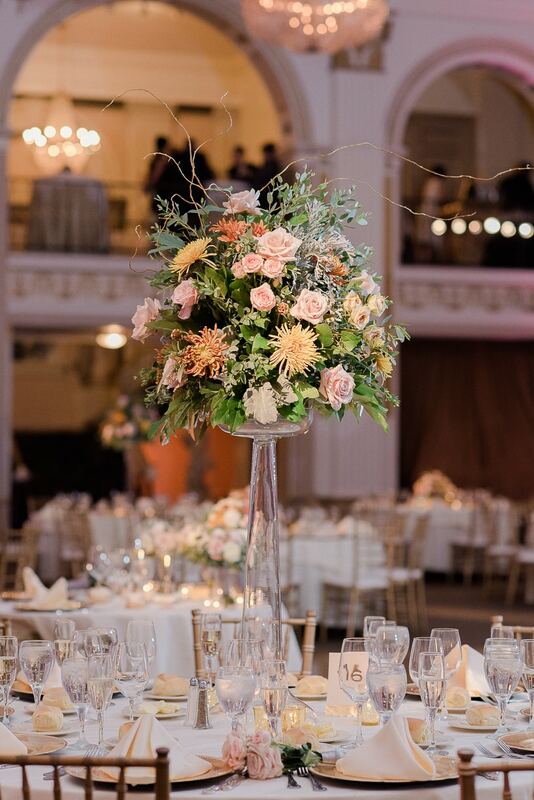 But for this Table Talk Tuesday I wanted to kick off “Wedding Week” here on the blog! Over the next few days I FINALLY am going to share wedding photos and recap our honeymoon with as many details and recommendations as possible. For today, I decided to share some of the small, and not so small, details of our big day. 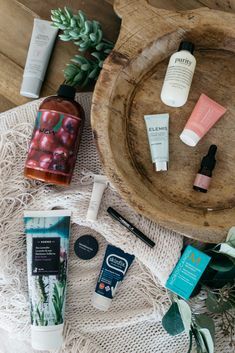 If any of you brides-to-be are anything like I was, I’m sure you are stalking wedding blogs/magazines for fun ideas to make your event unique. As always, if you have any questions on my wedding, the planning process, etc., don’t hesitate to ask! 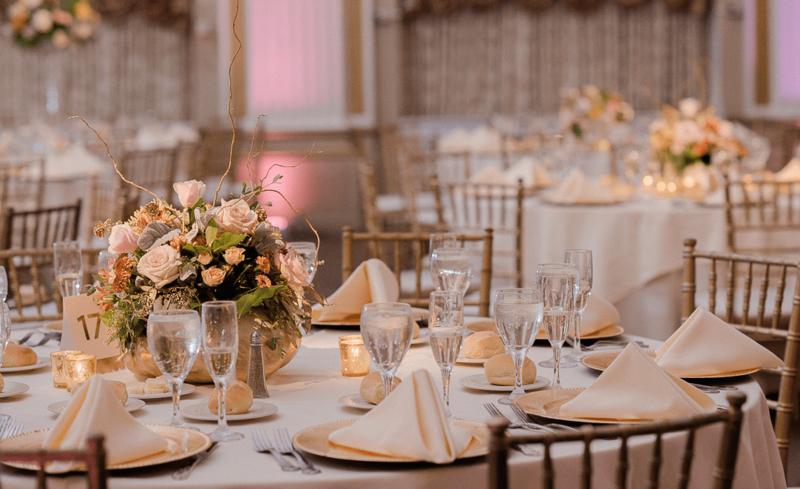 A little fun fact to get started, where our reception was held, was also where they filmed the dance scene in Silver Linings Playbook. 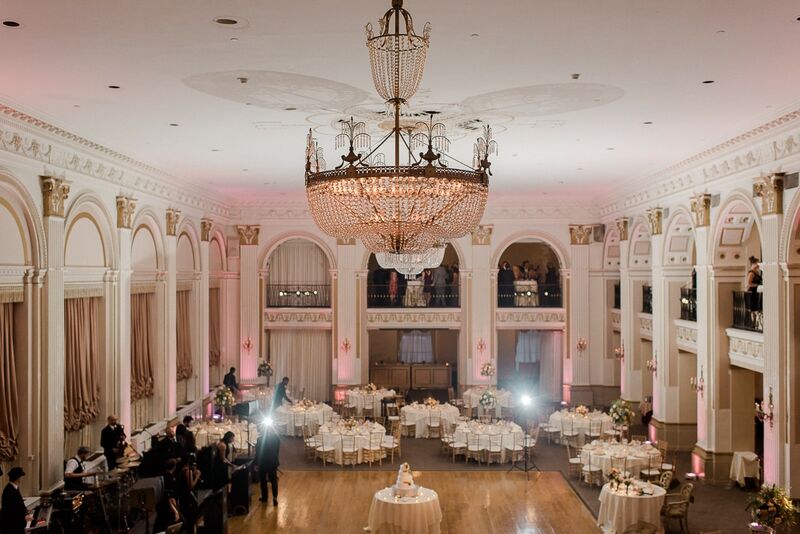 Recognize this ballroom?! You can also see the band setting up here. I love live music (and you typically have to peel me off the dance floor at weddings), so for us a band over a DJ was an easy choice. Choosing a band, however, was not! If you are in the Philadelphia area, we went with the band Rio (through EBE) and they were incredible! Seriously still get so many compliments on the band to this day. Flowers are a big deal in my family, so finding the right combo was a big thing for me. 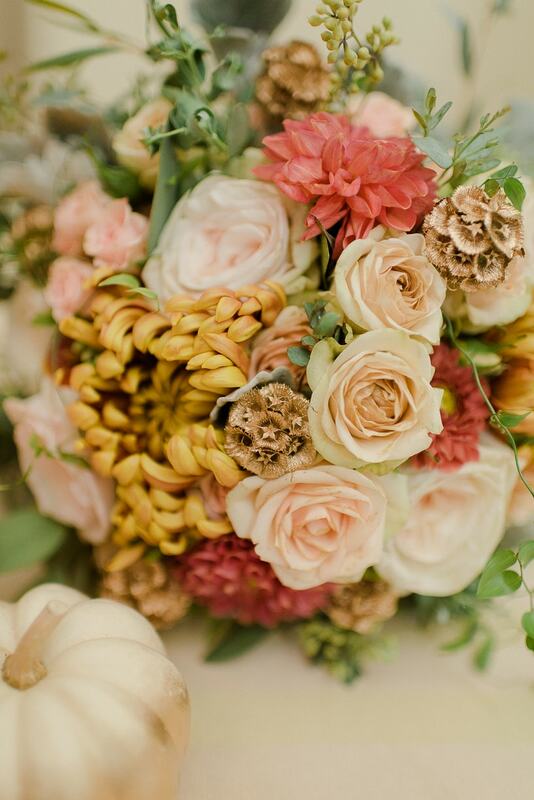 I loved how these brought in the feeling of fall, but still had that airy neutral feel that I love with hints of gold touches to bring the theme together. 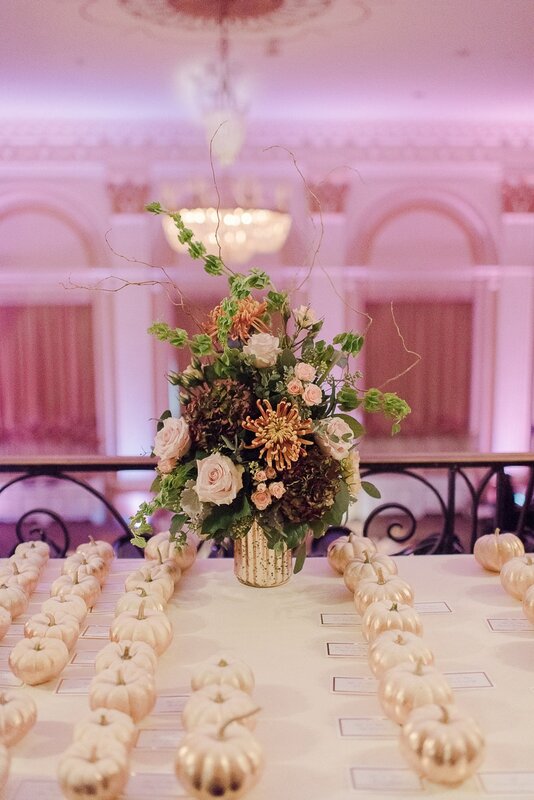 Our flowers were done by Christine Brown with Market Fresh Flowers. 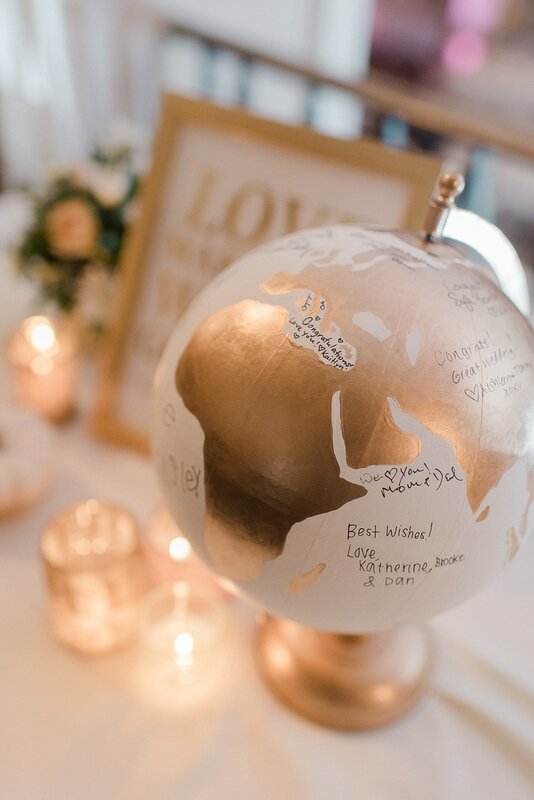 Matt and I love to travel and thought it would be fun to have a guest book globe. We found this beautiful hand painted/custom one through Etsy and had everyone sign their name or leave a message. 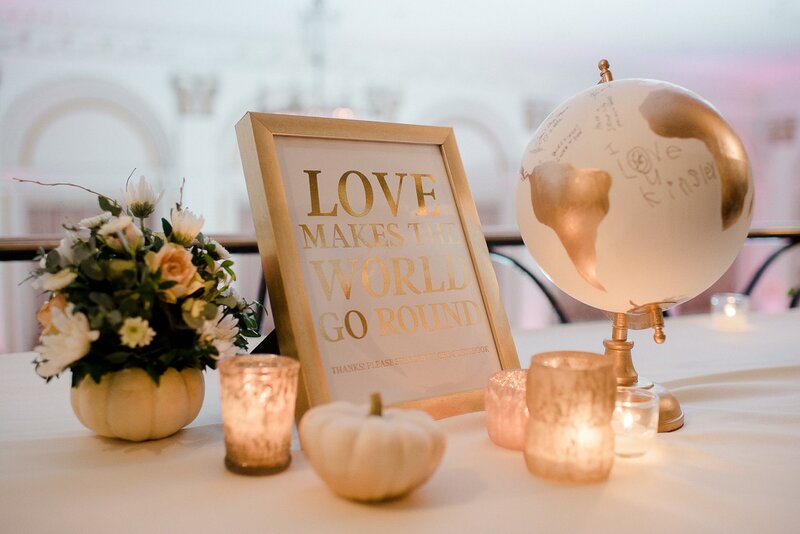 I found this sign on Etsy (I had them add in small print at the bottom “please sign our globe guest book”) and stuck it in a gold frame to match, so everyone knew what to do. I love the unique spin on your traditional guestbook, and now love having this piece on display in our apartment. 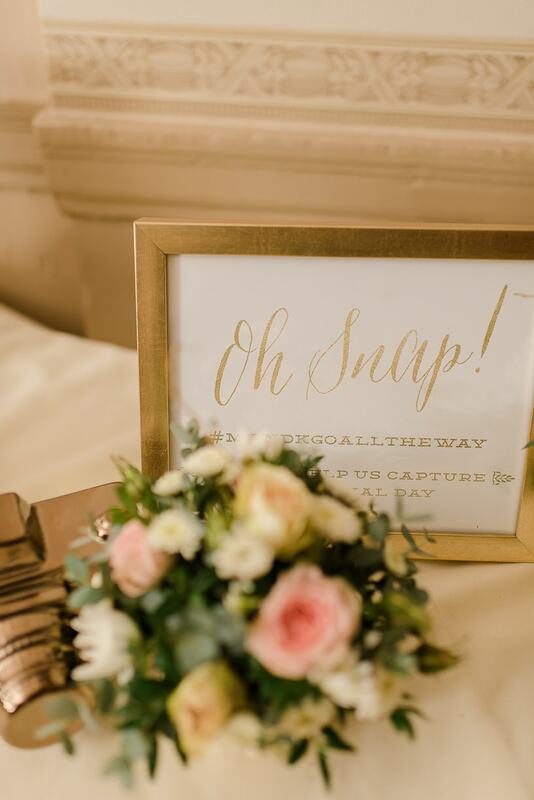 Another favorite decor item was our envelope holder. Our venue came with a traditional birdcage, but to be honest I was not a fan. 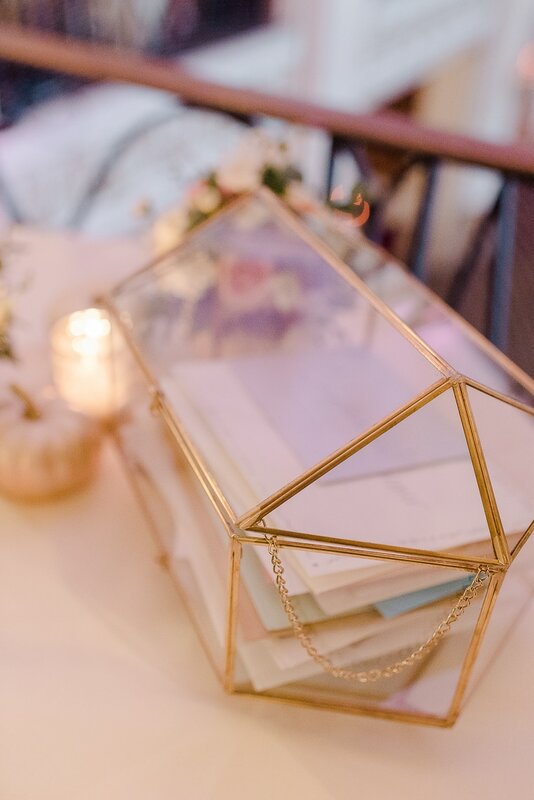 It was way too big and when I saw this gold conservatory envelope holder I knew it would fit my vision perfectly. 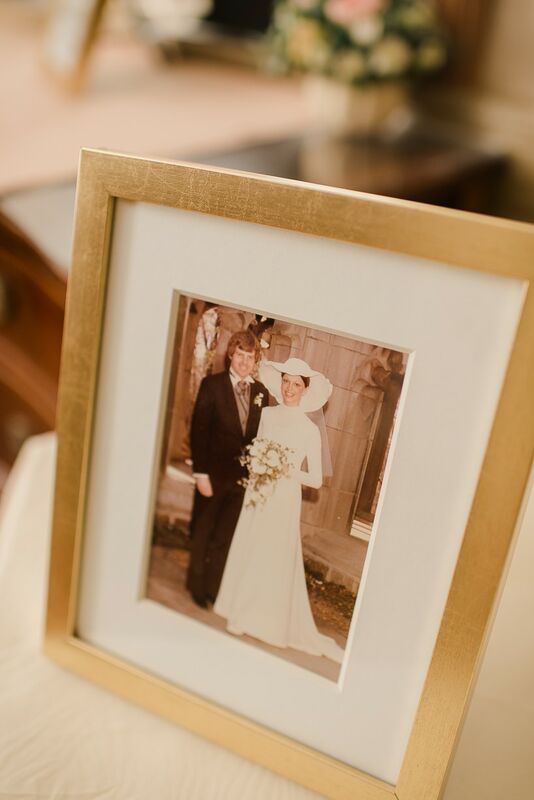 We also had a table set up with framed photos of our parents, grandparents, and other family members on their wedding day. What a babe was my momma on her wedding?! What kind of blogger would I be if I didn’t have a hashtag for our wedding. I ordered this sign so everyone knew what the hashtag was #MandKgoalltheway! I also put this decorative camera that reminded me of the instagram symbol next to it. 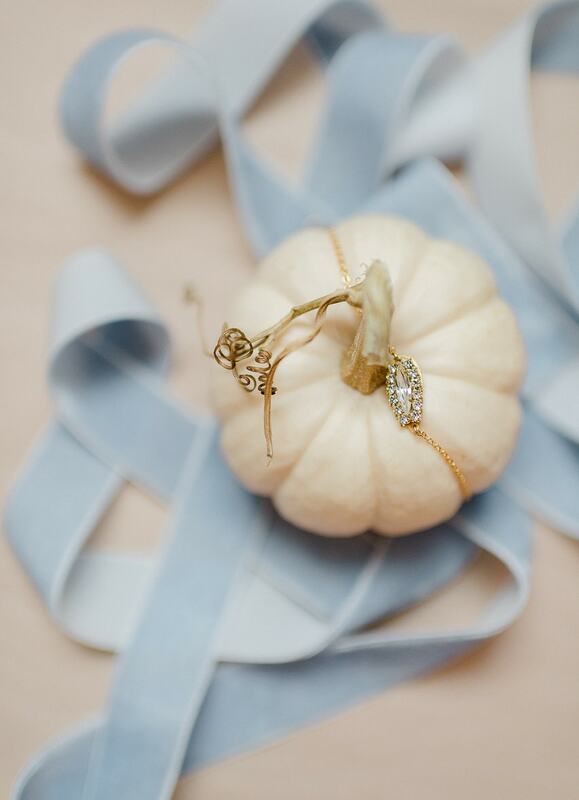 I relied heavily on BHLDN for decor, as well as some of the gifts for my bridesmaids. Their stuff is really great quality and timeless. 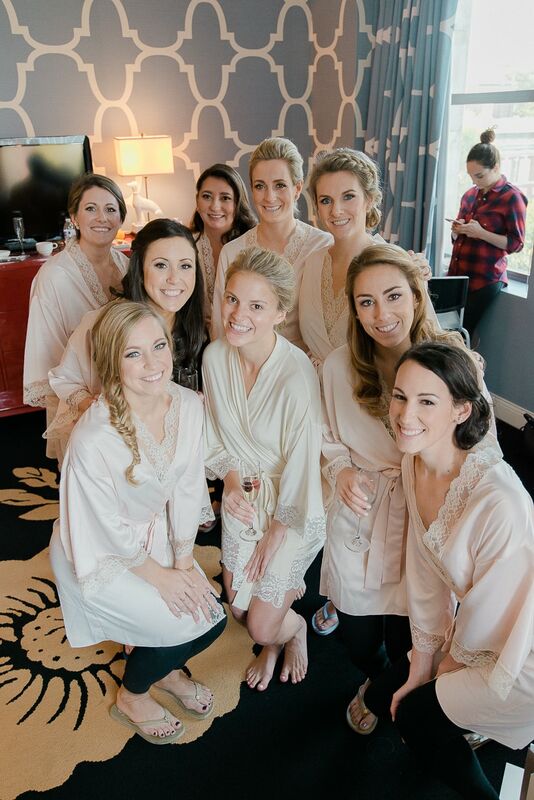 I picked up these blush silk robes for my girls, and this ivory one for myself. 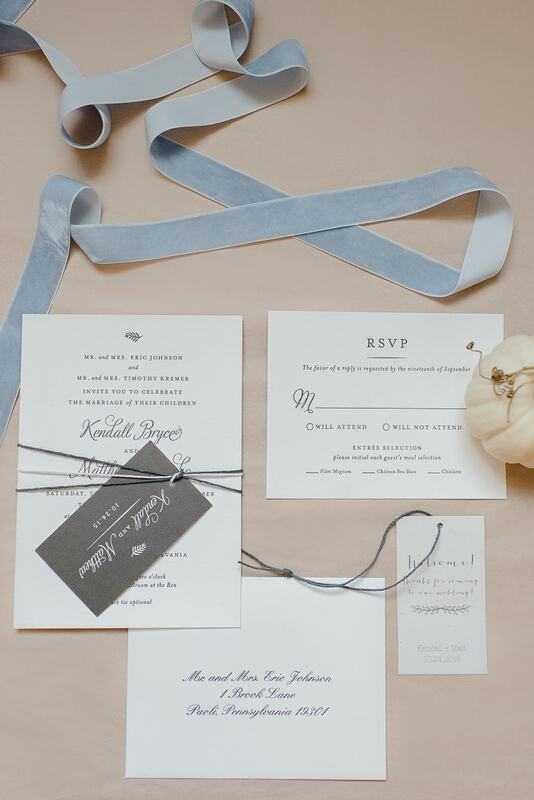 Invitations were from Minted, Welcome Tags from Etsy. My jewelry is from BHLDN (earrings/bracelet) — I got these Kate Spade earrings for my bridesmaids. 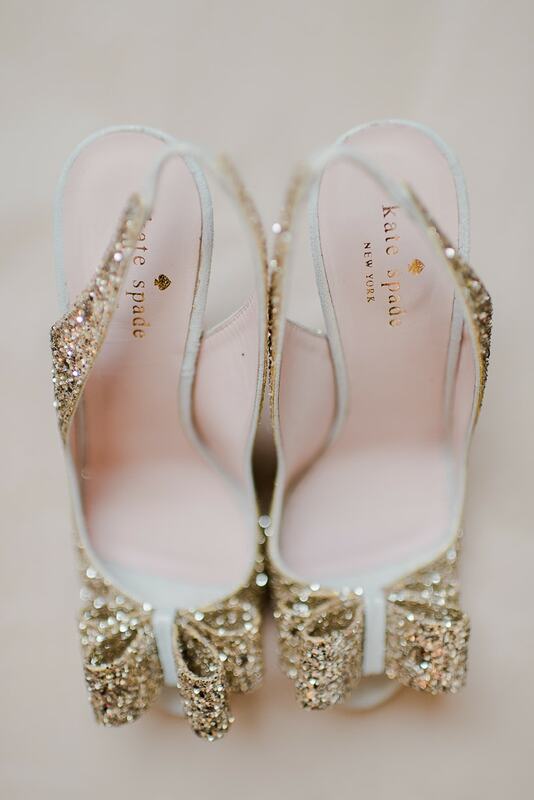 Kate Spade Glitter Pumps + I also bought this matching glitter clutch. 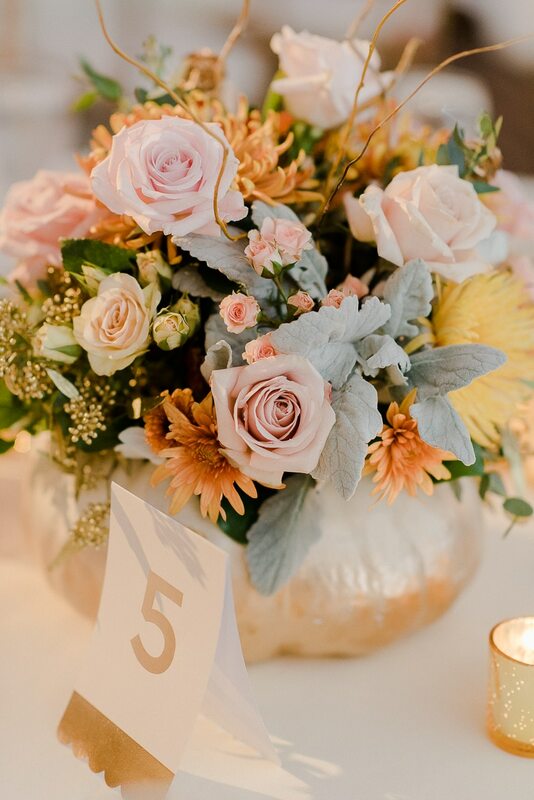 Our florist sprayed ombre gold to the bottom half of white pumpkins that we used for place card holders…this was one of my favorite touches! A closer look at the place card holder design. 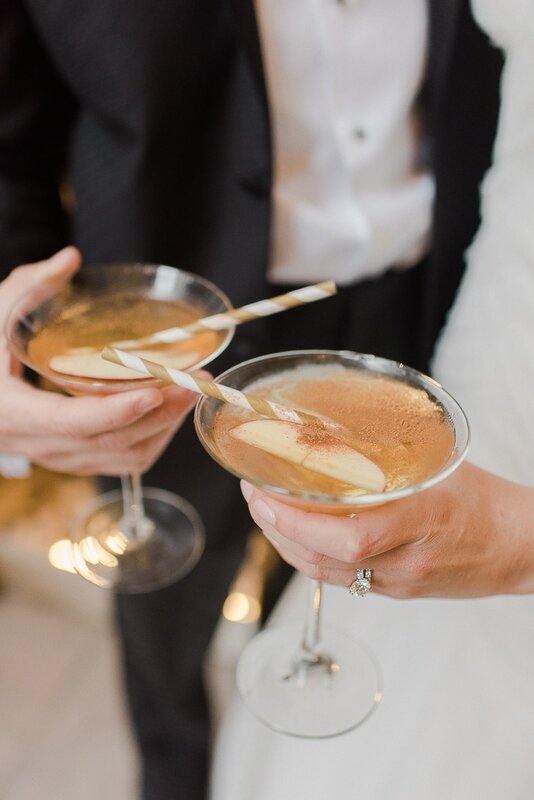 Our signature drink was a Big Apple Martini…get it? NYC, the “Big Apple”. We tried this drink at my brother and sister-in-law’s this past fall and absolutely loved it and the fall feel. 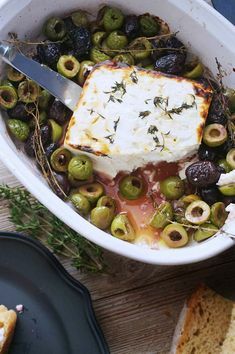 You can find the exact recipe here. 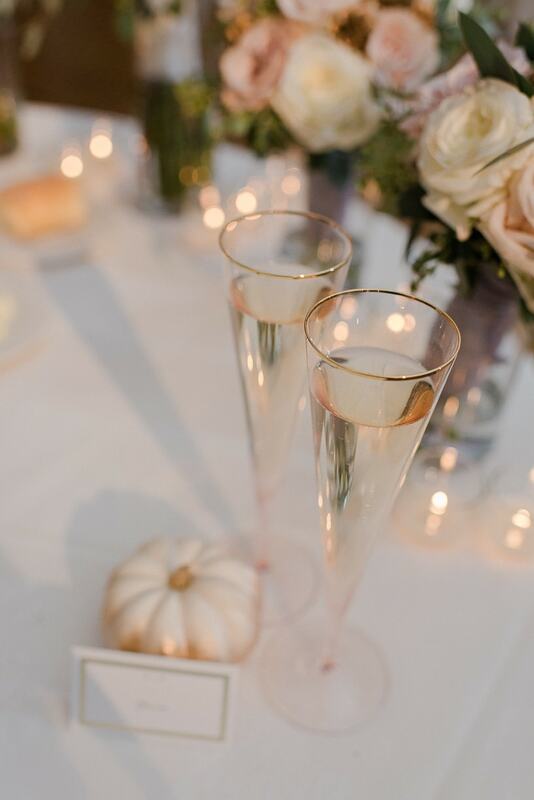 Champagne flutes for our sweetheart table. 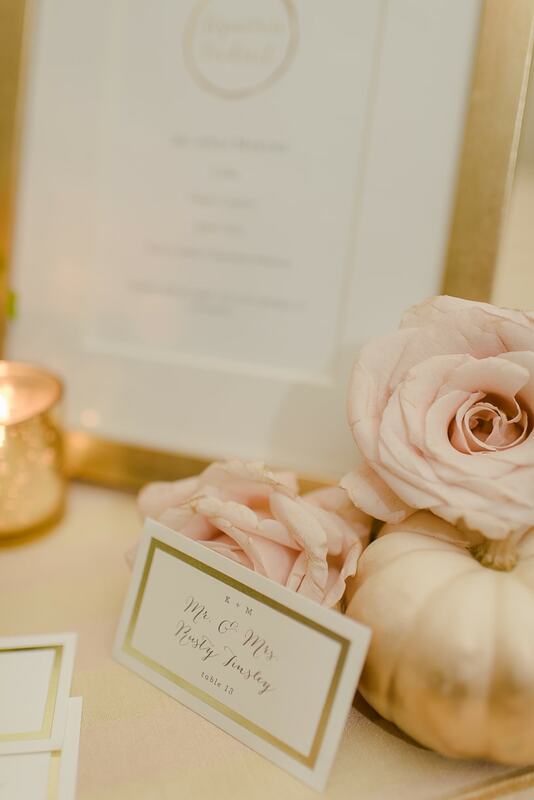 Foiled scallop table numbers // Also used the ombre gold white pumpkins for our low center pieces. Another shot of the pumpkin center pieces from the side. 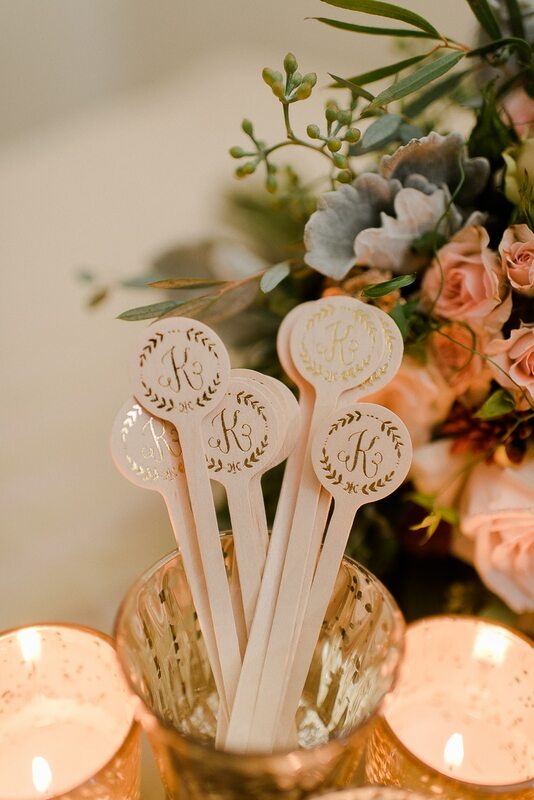 Monogram drink stirrers // I also created custom bridesmaid koozies for my girls. 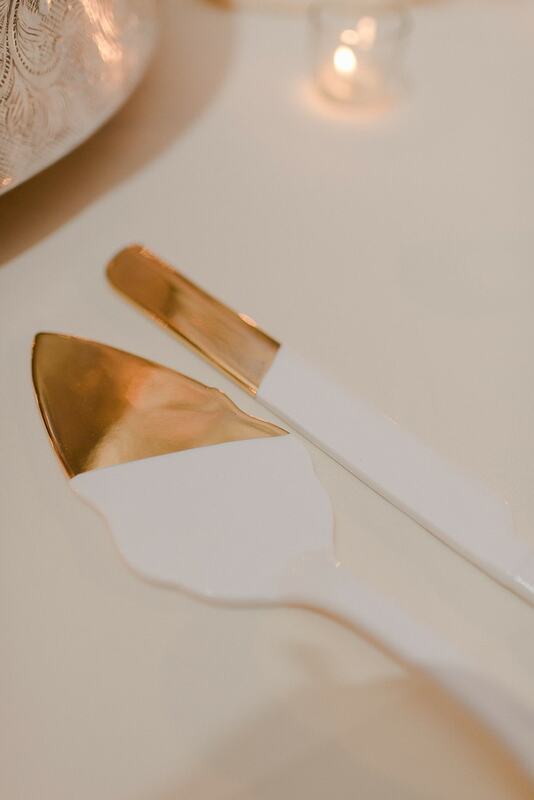 Loved this gold tip cake server.